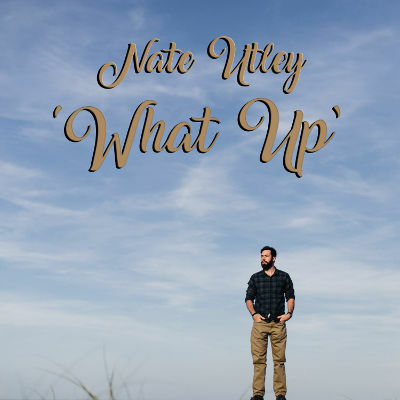 Florida based solo artist Nate Utley has a new single out titled “What Up,” off his new EP, “Infinite Potential.” Utley describes his music as “a combination of Rock, Reggae, RnB and Pop.” He also sports a rather impressive full beard, which is worth noting in itself. Though his music is acoustic guitar oriented, after listening to “What Up” I would have to concur that Nate’s artistic style is a blended one, which is more flavorful and peppy than what one would expect from the typical acoustic driven song. The track starts off making you believe it’s going to be a straightforward, Earthy vibed indie rock song, but it slowly intertwines elements of RnB and even light hip hop. It does this very skillfully and more importantly subtly through delivery and attitude so that nothing feels forced or out of place. The acoustic rings with a full, bell like, “chimey” tone and the backing drums give the song a substantive framework, that more minimalist indie guitar jams often lack. The video is colorfully and beautifully shot in areas like Flagler Beach along the Florida coastline. Nate has clearly worked very hard on this release and accompanying video, and it all comes together nicely. If the rest of the songs on his new EP are even half as effortful as this one, it will be worth picking up a copy.